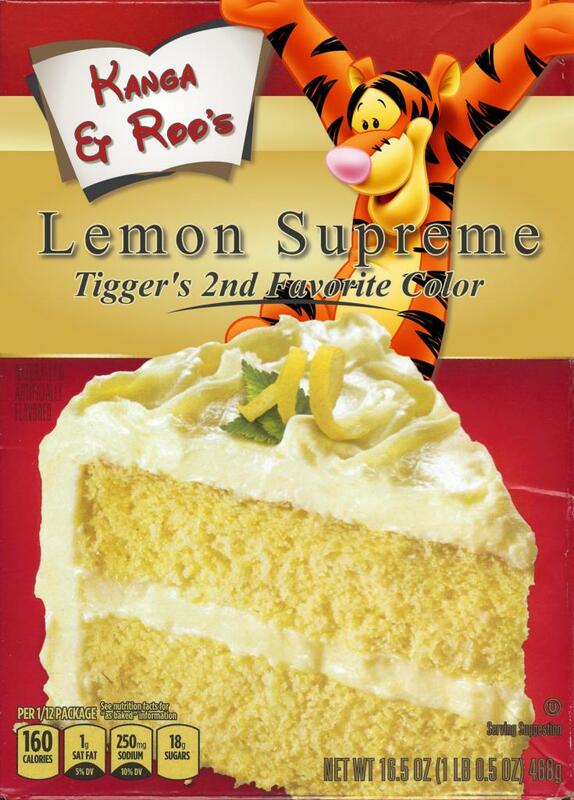 Kanga & Roos Lemon Supreme Cake Mix: Tigger's 2nd Favorite Color! #TiggerProducts #TiggerFanArt Tigger Travels - Family Adventure Journal Photos From Tigger`s Travels and MORE! Of course, ORANGE is his favorite color, but YELLOW is perfect in a pinch!